The cornerstone of Young Artists of America at Strathmore is its unique Mentorship Program, where students work alongside major performing artists as well as leading university programs. Browse through our recent Guest Mentors who been part of Young Artists of America inlcluding Kristen Chenoweth, Stephen Schwartz, Andrew Lippa, Jason Robert Brown and more when they visited the DC area. Click here to find out about upcoming Masterclasses with current Mentors. 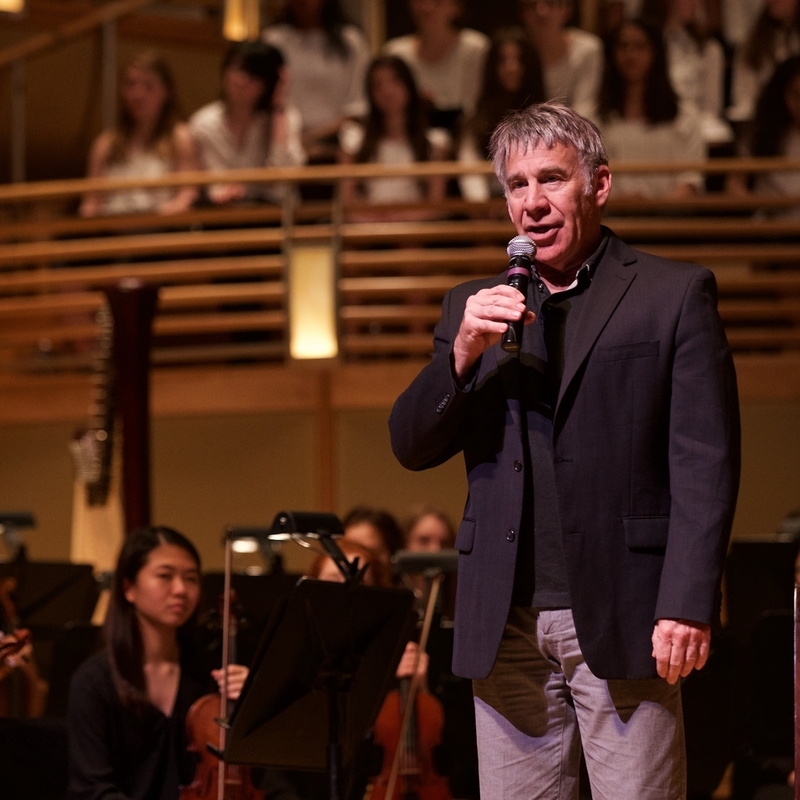 Stephen Schwartz is an American musical theatre lyricist and composer. In a career spanning over four decades, Schwartz has written such hit musicals as Godspell (1971), Pippin (1972) and Wicked (2003). He has contributed lyrics for a number of successful films, including Pocahontas (1995), The Hunchback of Notre Dame (1996), The Prince of Egypt (1998; music and lyrics) and Enchanted (2007). Schwartz has won the Drama Desk Award for Outstanding Lyrics, three Grammy Awards, three Academy Awards and has been nominated for six Tony Awards. He received the 2015 Isabelle Stevenson Award, a special Tony Award, for his commitment to serving artists and fostering new talent. Stephen was Artist in Residence for YAA's production of Children of Eden. Watch highlights here. Emmy and Tony Award winning actress and singer Kristin Chenoweth’s career spans film, television, voiceover and stage. In 1999, she won a Tony Award for You’re A Good Man, Charlie Brown and she was also nominated for her original role of Glinda the Good Witch in Wicked in 2004. Chenoweth has been nominated for two Emmy Awards and for a People’s Choice Award for her role on Glee. Chenoweth has performed to sold-out audiences around the world, including performances at Carnegie Hall and Royal Albert Hall. In 2014, she released a CD/DVD of her live performance Kristin Chenoweth: Coming Home. She is a graduate of Oklahoma City University with a Master's Degree in Opera Performance. Kristin performed with our YAA students on her national tour. Watch a moment from the stage here. 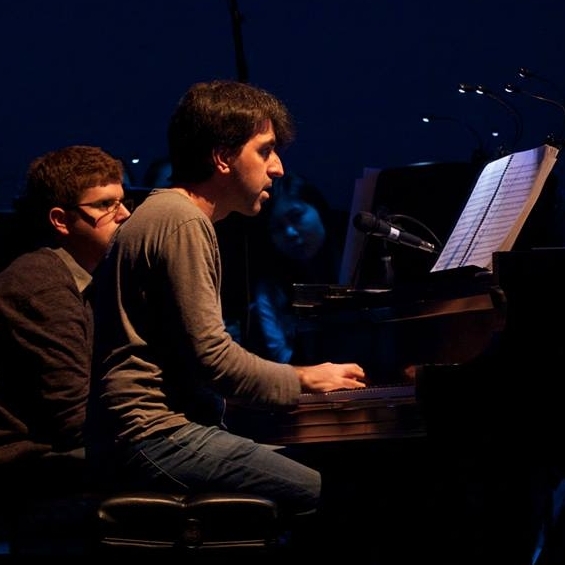 Jason was Artist in Residence and Guest Conductor for YAA's production of Songs for a New World. Watch highlights here. "America's Ambassador of Song," Michael Feinstein began his career as Ira Gershwin's personal assistant shortly after he moved to Los Angeles in 1976. During the next six years working with the great lyricist, Michael gained knowledge and insight into the creative legends who wrote some of the greatest American songs. He is a veteran of thousands of performances worldwide from a sold-out Carnegie Hall debut to standing room only performances in theaters around the globe. 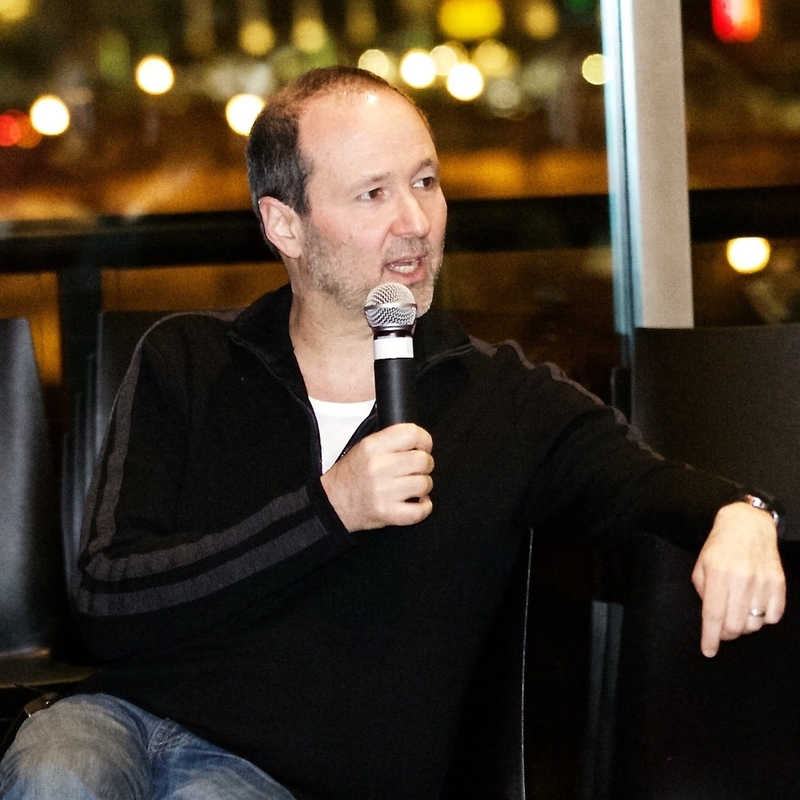 He writes music for TV and film, and his renditions of pop standards have been heard on television series including Caroline in The City and Cybil as well as on several PBS specials. Michael hosted YAA for a Masterclass and invited one of our students to perform in a Gala performance alongside him. Watch highlights from the Masterclass here. Steven Lutvak made his Broadway debut as composer and co-lyricist of A Gentleman's Guide to Love and Murder, which won the Drama Desk, Drama League, Outer Critics Circle, and Tony Awards for Best Musical in 2014. He and his collaborator, Robert L. Freedman also won the Drama Desk Award for Best Lyrics, having earlier, together, won both the Fred Ebb and the Kleban Awards for their theater songs. Featured in Time Magazine’s "People to Watch" column, Steven wrote the title track to Paramount’s hit documentary, Mad Hot Ballroom. Steven joined YAA for a Masterclass and performed for our students. Watch highlights here. Andrew Lippa wrote the music and lyrics for Big Fish, book by John August, directed and choreographed by Susan Stroman, which recently played the Neil Simon Theater on Broadway. His oratorio, I Am Harvey Milk (words and music), was premiered by the San Francisco Gay Men’s Chorus and the recording, released in October 2013, reached number 2 on the iTunes Classical Chart. I Am Harvey Milk was also seen at LA’s Disney Hall in NYC at Avery FIsher Hall. This work along with a new piece called I Am Anne Hutchinson, written for Kristin Chenoweth, received its world premiere at the Music Center at Strathmore in April 2016. Andrew joined YAA for a Masterclass and performed with our students. Watch highlights here. 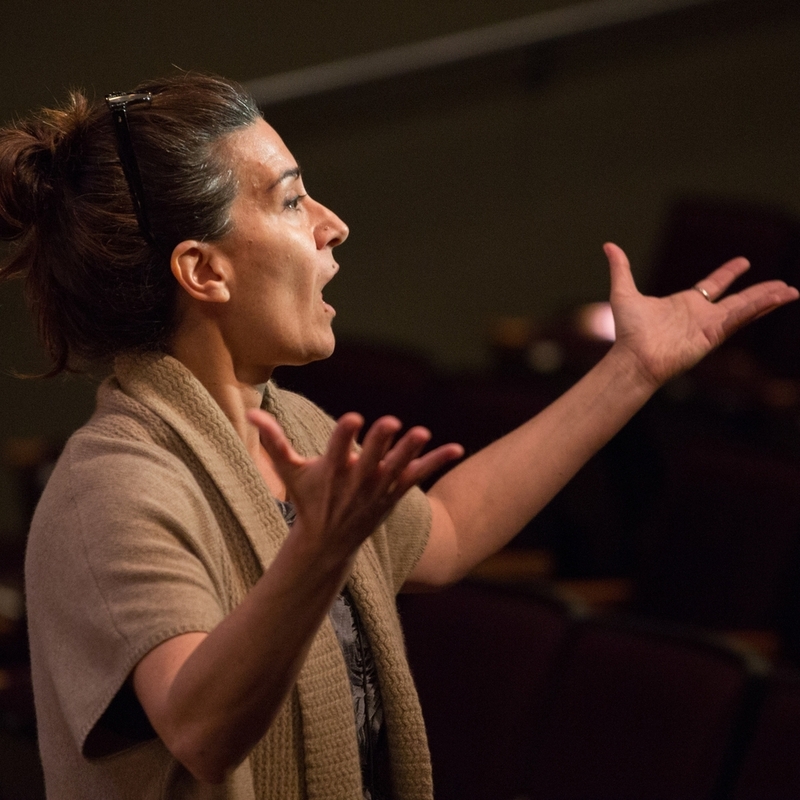 Jeanine Tesori is the most prolific and honored female Broadway composer in history, with five Broadway musicals, four Tony nominations. She won the 1999 Drama Desk Award for Outstanding Music in a Play for Nicholas Hytner's production of Twelfth Night at Lincoln Center and the 2004 Drama Desk Award for Outstanding Music for Caroline, or Change, and most recently a Tony Award in 2015 for Fun Home. Her major works include Fun Home, Caroline, or Change, Shrek The Musical, Thoroughly Modern Millie, and Violet. Jeanine joined YAA for a Vocal Masterclass and Q&A. Watch highlights here. 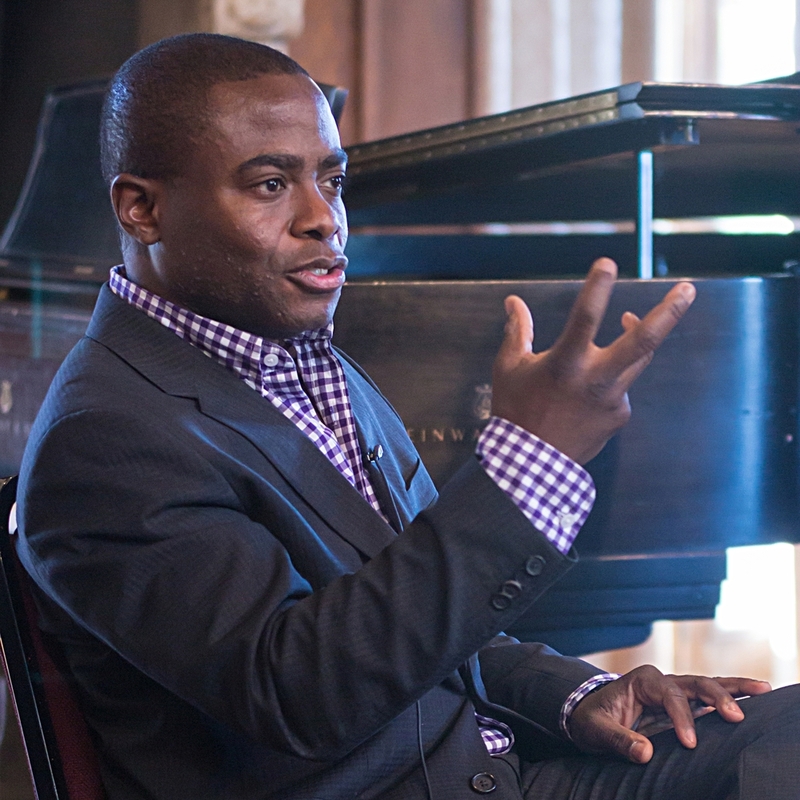 Just named Principal Clarinet of the New York Philharmonic, Anthony McGill served as Principal Clarinet of the Metropolitan Opera Orchestra for the past decade and has been recognized as one of the classical music world’s finest solo, chamber and orchestral musicians. He has appeared as soloist with many orchestras including the Metropolitan Opera Orchestra, the American Symphony Orchestra and the New York String Orchestra, all at Carnegie Hall. Other recent performances have been with the Baltimore Symphony, New Jersey Symphony, San Diego Symphony, Memphis Symphony, Orchestra 2001 and the Chicago Youth Symphony Orchestra. Anthony joined YAA for a Clarinet Masterclass and Q&A. Watch highlights here. Noah Himmelstein is a New York-based theatre and opera director, and was recently named Associate Artistic Director of Everyman Theatre. His work, consisting of large scale music-theatre works, new American plays, and intimate chamber pieces has been seen around the country and recently in Europe. He recently directed Andrew Lippa’s concept opera: I Am Anne Hutchinson/I Am Harvey Milk at the Music Center at Strathmore featuring Kristin Chenoweth and Lippa. He has been collaborating with Andrew Lippa on I Am Harvey Milk from its inception and has since directed the work at Lincoln Center, Walt Disney Hall in LA and the premiere in San Francisco in 2013. Noah directed YAA's production of Children of Eden. Watch highlights here. Patina Miller is a New York actress who made her Broadway debut in the 2011 hit Sister Act. She played the nightclub-singer-turned-nun Deloris Van Cartier, for which she received her first Tony nomination, as well as Drama Desk, Drama League and Outer Critics Circle Award nominations. She earned accolades for her performance in Pippin for which she received the Tony Award for Best Performance by an Actress in a Leading Role in a Musical, the Outer Critics Circle Award for Outstanding Actress in a Musical, and earned Drama League, Astaire and Broadway.com Audience Choice Award nominations. The show won the Tony Award for Best Revival of a Musical at the 67th Annual Tony Awards. Patina joined YAA for a Masterclass and performed with our students. Watch an impromptu rehearsal here. The Scarlet Pimpernel, The Civil War and Little Women for which he received a 2005 Drama Desk nomination. Kim has also written orchestrations for many feature films, including A River Runs Through It, Quiz Show, Made In America, The Net, and Fly Away Home, as well as for television. Kim appeared with YAA as Guest Narrator and Orchestrator for Jekyll & Hyde in Concert. Watch highlights here. Alan Paul is a director of theater and opera. He is currently the Associate Artistic Director of The Shakespeare Theatre Company in Washington, DC. Alan received the 2014 Helen Hayes Award for Best Director of a Musical for his production of A Funny Thing Happened On The Way To The Forum. His productions have received a total of 20 Helen Hayes nominations, including Best Director for Man of La Mancha and Silence! The Musical. Alan will open STC's 2016-2017 season with a new production of Romeo and Juliet. .
Alan directed YAA's production of Madama Butterfly & Miss Saigon. Watch highlights here.